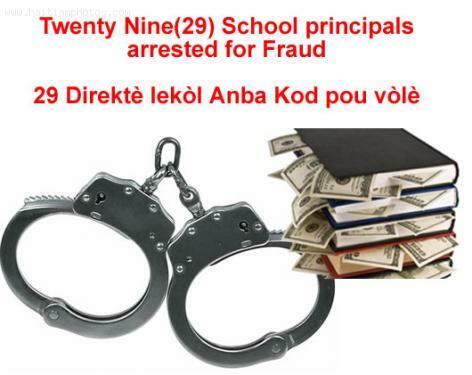 The Minister of Justice in Haiti, Jean Renel Sanon, made it public that the Haitian government proceed in the arrest of 29 school principals in the region of Artibonite Departments. Most of the arrests were made in the City of GOnaives. It has been reported that this include bot public and private schools principals in the region.